Instant bonding of low-voltage cables. Tecbond 342 is a fast-setting, high viscosity adhesive perfectly suited to the installation of cables in the telephone, computer and alarm industry. Offering instant tack and a thick consistency to prevent running, tecbond 342 is the fast and easy way to secure cabling. 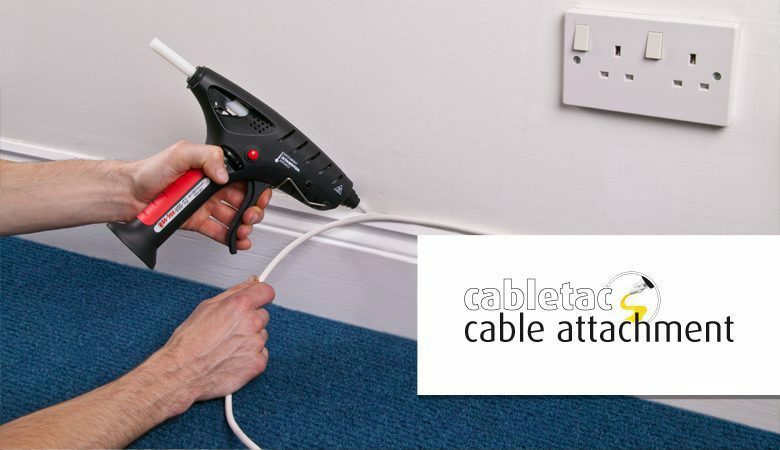 Our cabletac system, combining either the gas-tec 600 or the tec 805, with tecbond 342 adhesive avoids the aggravation and extra costs involved from broken wires caused by some other cable attachment methods while removing the risk of damage to walls and other surfaces caused by conventional tools such as hammers etc.